Light up the room with your sophistication when you put on these Sergio Rossi™ wedges. Halo ankle strap with adjustable buckle closure. Lightly padded leather footbed with brand logo patch. Rope wrapped platform and heel. 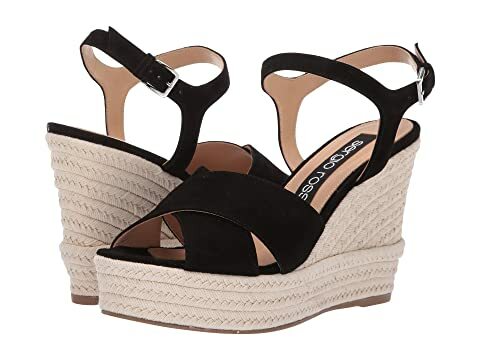 We can't currently find any similar items for the A84490-MCAZ01 by Sergio Rossi. Sorry!